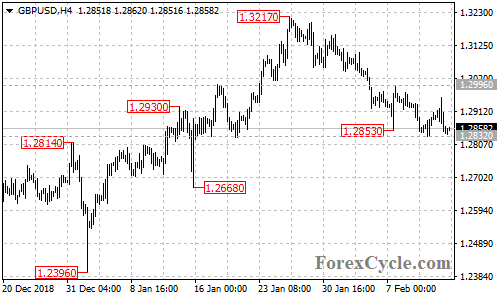 GBPUSD moved sideways in a trading range between 1.2832 and 1.2996. As long as 1.2996 resistance holds, the sideways movement could be treated as consolidation for the downtrend from 1.3217, a breakdown below 1.2832 support could trigger further downside movement towards 1.2750. Only a breakout of 1.2996 resistance could signal completion of the downtrend.